Blog posts : "Paella Party"
One of the Spanish most famous offerings is paella – a Valencian rice dish that is widely loved. 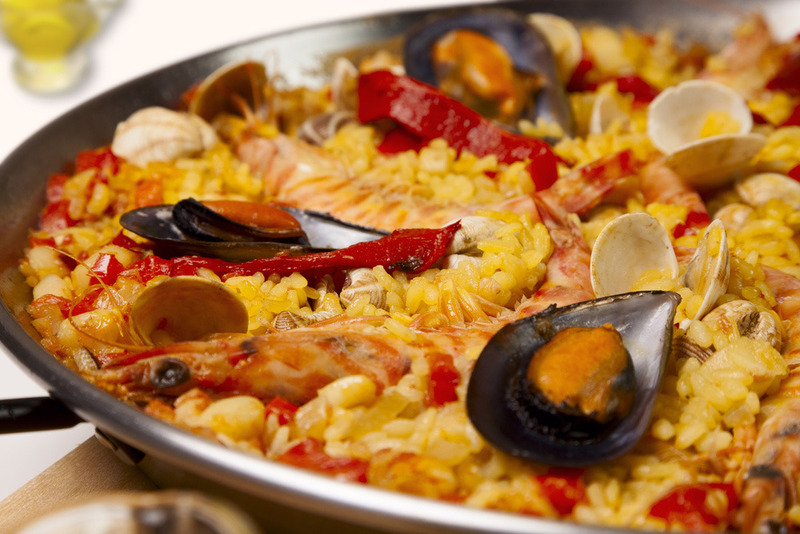 Paella party is an easy way for anyone to provide this exceptional Spanish dish to their guest. Party is a joyful occasion, and we believe paella fits in wonderfully at any party. Nothing speaks of unity so much as having your entire guest served food from one or two, carefully and lovingly cooked paella. Tapas are small food items you can have as a snack and make it as an appetizer. The serving of tapas is designed to encourage conversation. The ultimate way to enjoy an authentic Spanish Paella & tapas experience at the location of your choice! We don’t blink at a weird request or refuse to accommodate a small request because no request is small to us. When clients ask for creative, quirky and festive menus we revel in the challenge. The menu is a prime opportunity to integrate themes into any event. At your next event, why not get in touch with your roots by adding a Spanish-inspired menu. Reflect the rich traditions of Spain by serving Paella and Tapas interpreted with unique flavours.